The Tajik people came under Russian rule in the 1860s and 1870s, but Russia’s hold on Central Asia weakened following the Revolution of 1917. Bolshevik control of the area was fiercely contested and not fully reestablished until 1925. 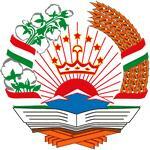 Much of present-day Sughd province was transferred from the Uzbek SSR to the newly formed Tajik SSR in 1929. Ethnic Uzbeks form a substantial minority in Tajikistan. Tajikistan became independent in 1991 following the breakup of the Soviet Union, and experienced a civil war between regional factions from 1992-97. Tajikistan experienced several security incidents in 2010, including a mass prison-break from a Dushanbe detention facility, the country’s first suicide car bombing in Khujand, and armed conflict between government forces and opposition militants in the Rasht Valley. The country remains the poorest in the former Soviet sphere. Attention by the international community since the beginning of the NATO intervention in Afghanistan has brought increased economic development and security assistance, which could create jobs and strengthen stability in the long term. Tajikistan is seeking WTO membership and has joined NATO’s Partnership for Peace.